I am delighted to announce that we have been invited to be ambassadors for the National Sea Life Centre Birmingham for another year! Georgiana and Lydia both love visiting the centre, and seeing what is new while also revisiting the creatures they consider to be old friends by now. Merlin Entertainments have provided me with a family ticket (for 2 adults & 2 children) to the centre to give away here on my blog! Read on for details on how to enter below. Georgie is always creating these days, and the same week that our invitation to stay on as ambassadors arrived, she was busy making a book about the Sea Life Centre… so I thought I would share it with you now! Once upon a time there was a girl called Milly. She was 5 years old. Tomorrow the man who looks after the Sea Life Centre saw! So her went to see who knew. He went to Milly’s house to see if she knew. Milly said yes. Then can you go find them? Yes! Replied Milly. I’ll ask my Mummy to take me. They went to the top of the world where they found all of the penguins! And they brought them back to the Sea Life Centre. He said Thank you! He said Milly you’re the best! And then they both said together I love you! And then they went to the Sea Life Centre and the penguins weren’t missing! And then they saw the fish. And then the big octopus. Then they went to see the baby fish which have just been born. How cute is that? 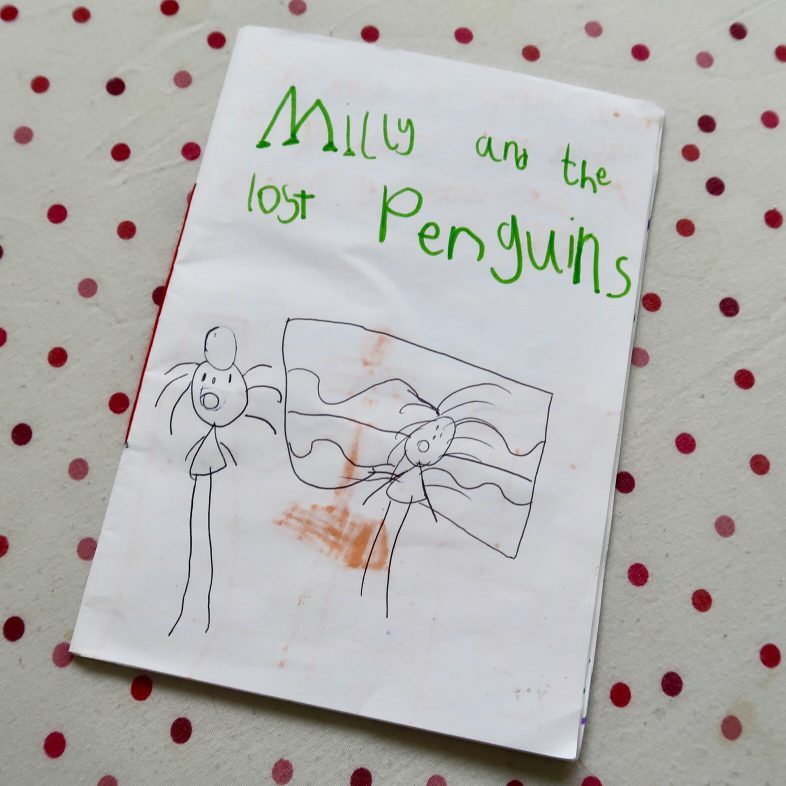 Each page is illustrated, and I may have improved the spelling slightly but I am pretty impressed with her creativity! 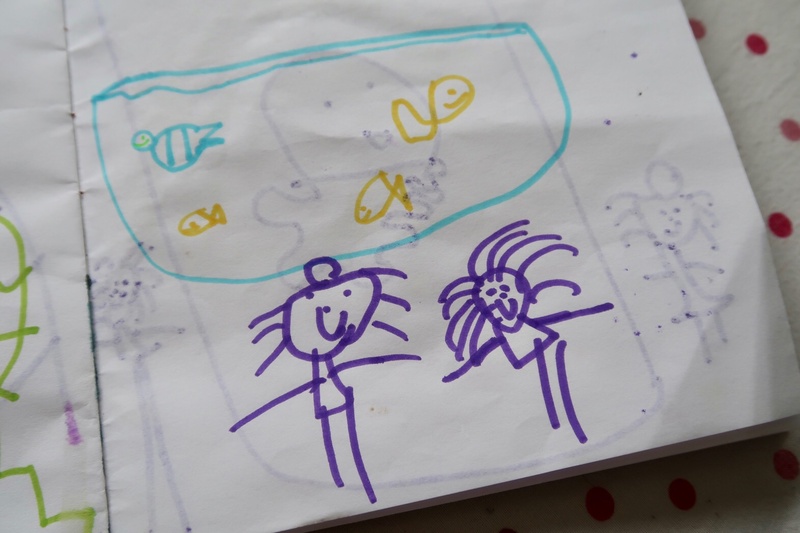 To be in with a chance of winning the Sea Life Centre family ticket, please comment on this blog post letting me know what your favourite sea creature is, and record your entry using the Rafflecopter below. This competition ends midnight 20th August 2017. UK residents only. There will be one winner. Entries submitted by Rafflecopter will be checked & verified, and false entries discounted. Good luck! 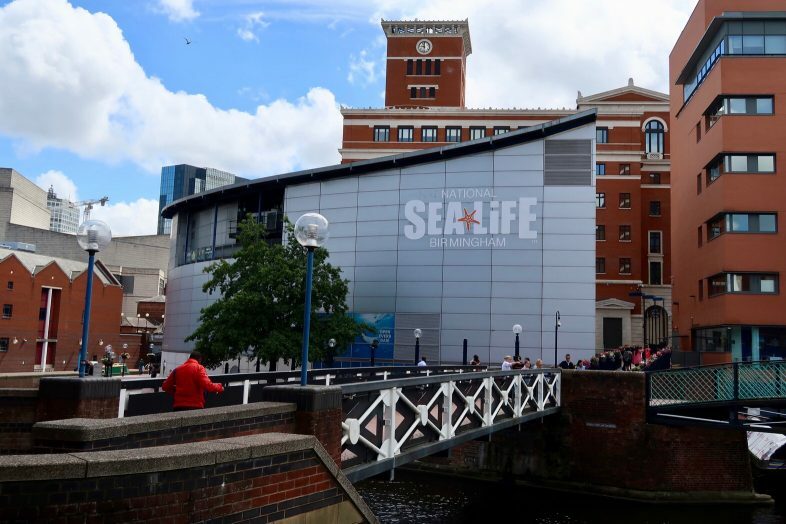 The National Sea Life Centre Birmingham (Attraction) will be providing 1 x family ticket (valid for 2 adults and 2 children) to the winner of the competition, subject to availability. The Prize is non-transferable and no cash alternative is available. The Prize will automatically be void if sold, offered for sale or if any attempt or offer is made to transfer the Prize for value. Photocopies will not be accepted. The Prize cannot be used in conjunction with any other offer or promotion, or on the day of any special event at the Attraction. The Prize must be redeemed by 31/12/17. After this time the Prize will be invalid. The Prize remains the property of Merlin Entertainments (Sea Life) Limited (Merlin) at all times and Merlin reserves the right to take possession of the Prize at any time and for any reason. Proof of winning must be presented at the Attraction entrance & surrendered to the ticket booth operator. Features and/or creatures shown on the Annual Pass are not necessarily available at the Attraction. The Attraction reserves the right, in its absolute discretion, to refuse entry and to close and/or alter all or any part of its facilities including removal of figures for technical, operational, health and safety or other reasons including over capacity. Guests under 16 years of age must be accompanied by one adult over 18 years of age. The Prize is subject to the terms and conditions of the Attraction available at www.visitsealife.com which also contains details of the Attractions opening times and operating calendar. Seahorses – They fascinate me! Who can resist loving dolphins ? I love the little prawns that crawl all over and tickle your hands. Dolphins are my favourite sea creature. They are so awe inspiring. Seahorses & their “male mums”! I find whales fascinating due to their huge size. has to be dolphins, so berautiful!